Graduate & Undergraduate Students: We are actively seeking graduate students now. Announcement here! And we are always interested in hearing from potential graduate and undergraduate students with sincere interests in joining our lab. See potential research areas on Research page and, if interested in applying, please send the requested preliminary information following the directions below. Please see this general information and philosophies about joining our research group: here. If you are sincerely interested in graduate or postdoc opportunities, please contact me with this information included. Recruiting for Postdoctoral Researchers: We will be seeking a new postdoc for catchment biogeochemistry in Spring/Summer 2019. Please email. 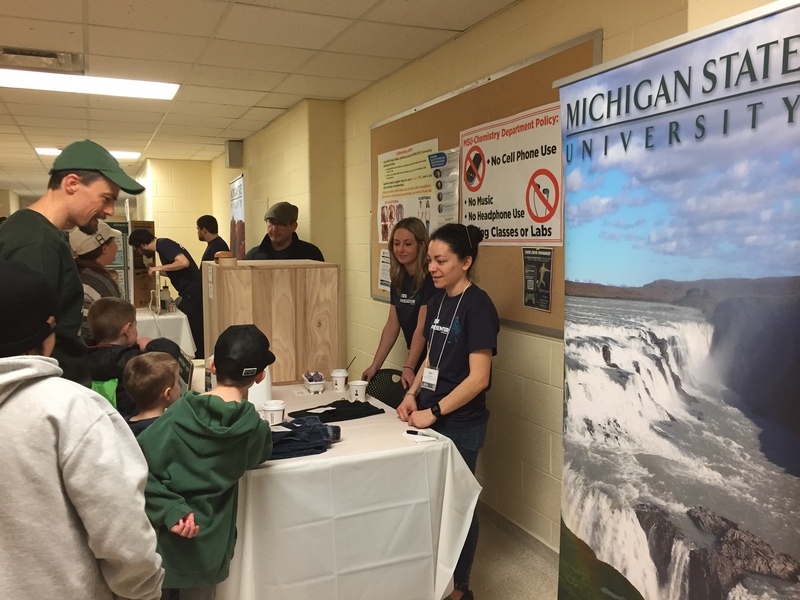 (April 2019) Huge MSU Sci Fest turnout for our exhibits on Groundwater Resources and "Hidden Waters." 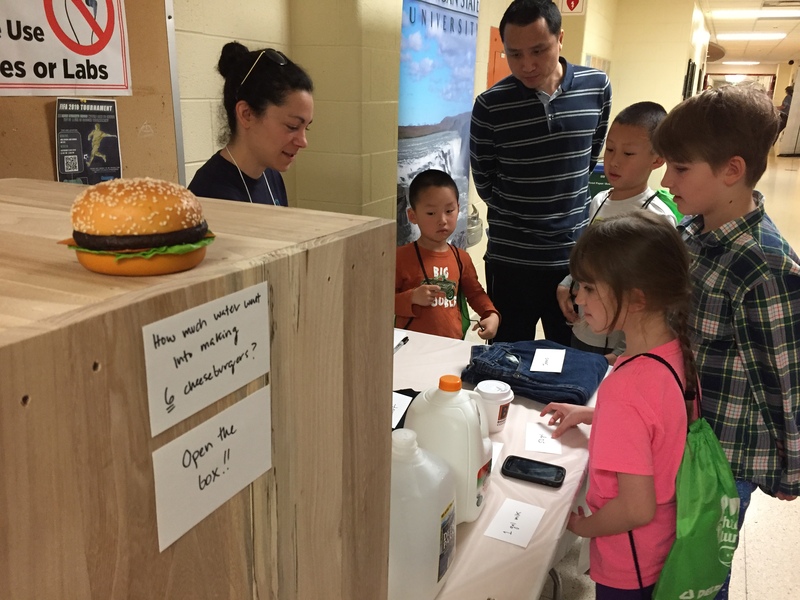 What a great day of STEM outreach. Fun! 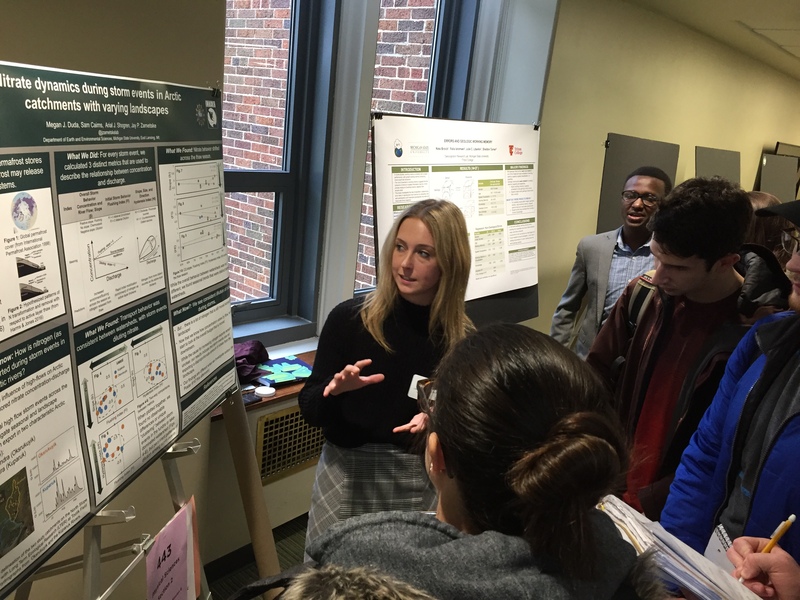 (April 2019) Wundergrads Megan and Sam rocked their UURAF presentations on nitrate and DOC export response during storms events at Arctic LTER. (April 2019) New Microzones paper! Congrats Farzaneh! Multi-scale preferential stream-groundwater flows during a storm. Read about it here. (March 2019) Another productive Arctic LTER Winter Meeting done: 2019 Field Campaign planned and excited to launch the CAREER and new projects! (Feb 2019) Jay receives NSF Early CAREER Award!!!! So much exciting hydrological science, education, and research is forthcoming. Award details here. (Feb 2019) New lab paper! Congrats Tyler Hampton on your first lead-author paper! Read here about residence time controls on lake SWI denitrification! (Jan 2019) Jay joins DOE, USGS, EPA, USDA, NSF leaders & scientists in DC to work on creating Integrated Open Science approaches to Watershed Science. (Dec 2018) AGU! Seven presentations associated with the lab this year; what a busy and exciting week in DC.! (Dec 2018) Congrats Sinchan on your successful Masters thesis defense and graduation! Exciting hyporheic model results coming to a paper soon! (Nov 2018) New lab paper led by Jay in Geophysical Research Letters! Read here about DOC export behavior and importance of wetlands across the U.S.
Press Release and Feature in MSU Today! Remember: Carbon goes with the flow! (Oct 2018) New lab paper! Congrats Joe Lee-Cullin on your first lead-author paper! Read here about how to measure GW-SW chemistry at large scales. (Sept 2018) Jay travels to Colby College (his alma mater!) to give a seminar. So many memories...Plus, many great changes in the last 18 years at Colby! (Aug 2018) Another successful, albeit flood-filled and equipment bashing season in Arctic Alaska is wrapping up! (July 2018) Arial and Jay travel to KBS to give a seminar and updates on lab research projects to the Great Lakes Bioenergy Research Center group. (June 2018) New NSF Microzones Project paper out in WRR - using geophysics to reveal hydrologic exchange processes in lake-groundwater interfaces. (June 2018) Jay travels to Luxembourg Institute of Science and Technology for a week of research exchange and seminars. Thanks Julian Klaus! Also, got to visit another famous research catchment - the Weierbach Catchment. 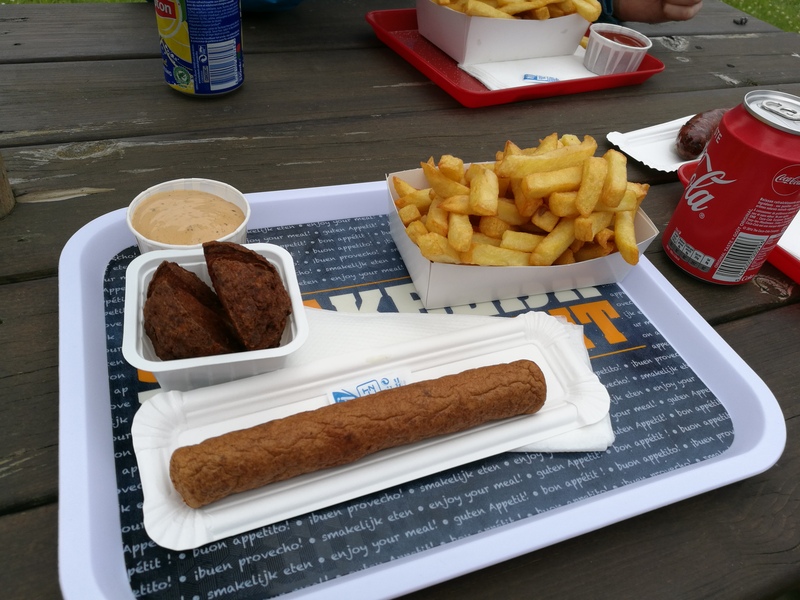 Couple site pics: Gauging site, hillslope trench, healthy belgian fiterie lunch. (May 2018) Arial is off to the Arctic at the end of May to help run our field sampling campaign - her first trip to the Arctic! Exciting! (May 2018) Tyler is helping us map our "Freshwater Family Tree." Check it out here and please put join the family to find your roots in Freshwater! (May 2018) The lab is excited to go to SFS @ Detroit, lots of presentations and colleagues to catch up with! (May 2018) Welcome to the lab Arial! Dr. Arial Shogren is a new postdoc who will be working on a couple of our Arctic research projects. In less than a month, she will be off on her first trip to Arctic Alaska to help run our 2018 field campaign. Fun! (May 2018) Congrats Tyler the completion of your awesome Masters thesis and degree. All dressed up for Graduation 2018! 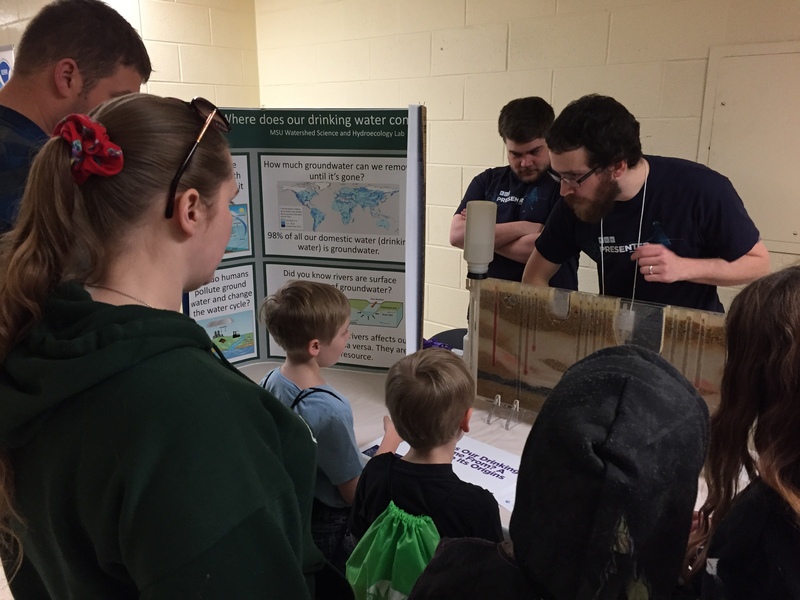 (April 2018) Lab leads two fun outreach exhibits on water resources at the MSU Science Festival, which gets ~20,000 visitors each year! Great job team! (March 2018) Jay supports a Water Quality Workshop at Idaho State University led (and seamlessly hosted) by Dr. Sarah Godsey. (February 2018) New paper out in Ecohydrology led by Phil Blaen, check it out: Woody debris is related to reach-scale hotspots of lowland stream ecosystem respiration under baseflow conditions. (January 2018) Public radio interview on The Environment Report discussing the use of Streams as Sensors. 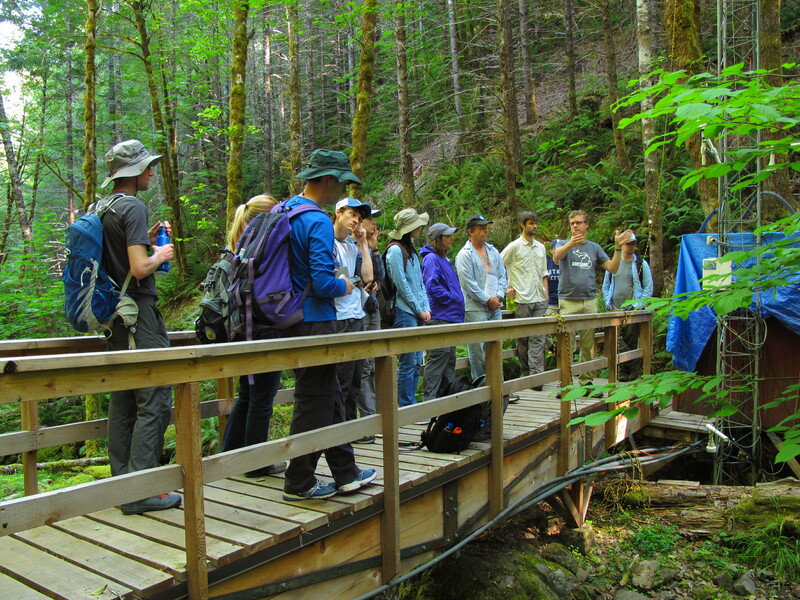 Check it out here: Small streams tell us a lot about our ecosystems. But are we listening? (December 2017) New paper out in Ecology Letters led by Ben Abbott, check it out: Unexpected spatial stability of water chemistry in headwater stream networks. (December 2017) Another epic AGU meeting in the books with 8 presentations from the lab. Great job everybody! YOLO in NOLA! (November 2017) New lab paper is out, lead by graduate student, Sydney Ruhala. Check it out: Exploring dissolved organic carbon cycling at the stream-groundwater interface across a third-order, lowland stream network. Lots of hard field work at the network scale in this study! (October 2017) MSU Museum has a really nice photo exhibit that is wrapping up this semester that has featured some of our work in the Arctic. (September 2017) Welcome Elizabeth Tripp - our newest undergraduate researcher! (August 2017) Jay and Ben are off the Arctic for their second field campaign - so excited to harvest all our summer data, see the late season conditions! (August 2017) REU Rachel Geiger shares her reflections on her experience in this published blog post. (August 2017) Bon voyage, Ben! Ben starts his new faculty position at BYU. Congrats! (July 2017) EOS publishes information about our workshop that Ben co-led in Rennes, France. The topic is protecting water resources by focusing on headwater streams. (June 2017) Research by Ben and Jay presented research at the 2017 Gordon Research Conference on Catchment Science in Maine. Congrats Ben on being selected as a GRS/GRC Rising Star! (June 2017) Research by Stephen, Tyler, Ben, and Jay presented research at the 2017 HydroEco Conference in Birmingham, UK. Congrats Ben on being selected for Best Talk Award! (June 2017) Welcome Rachel Geiger! She is joining the lab as a summer REU through the KBS LTER program. (June 2017) All together now: Everyone in lab authoring a presentation at Annual Society for Freshwater Science meeting in Raleigh, NC. Well done! (May 2017) Ben kicks off our Arctic Alaska field work with the Arctic LTER streams team. Safe travels Ben! (May 2017) Jay gives a talk at the 2017 International Association for Great Lakes Research Annual Conference in Detroit. Great meeting and great location. (May 2017) Tyler a recipient of the 2017 Mulholland Fund Award through the Society for Freshwater Science. Wow, congrats! 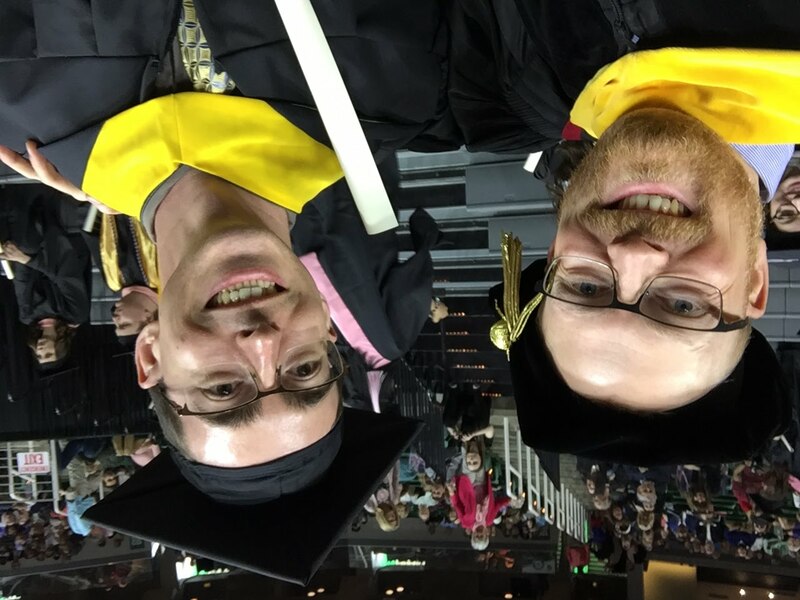 (April 2017) Congrats Evan and Stephen on your graduation form MSU and the lab. Onward and upward! (April 2017) Congrats Sydney on the defense of your MS thesis! On to new adventures, but we will miss you in the lab and department. 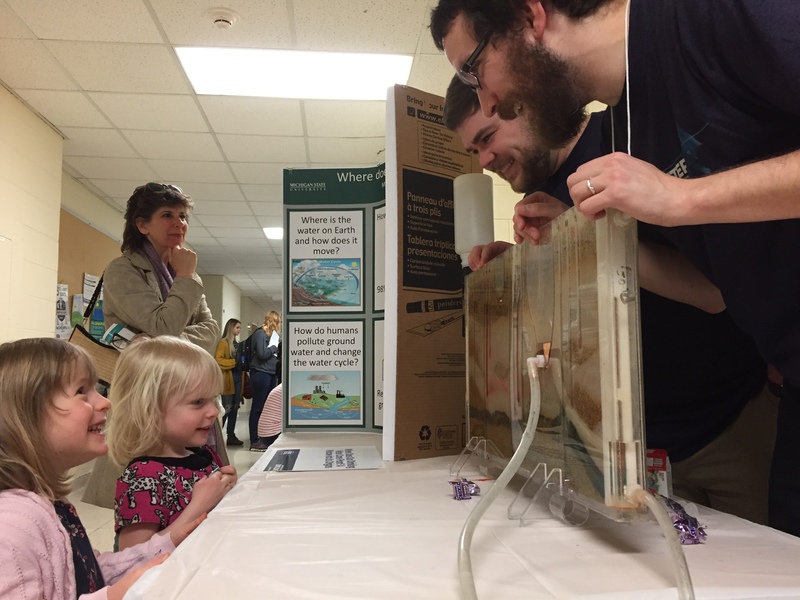 (April 2017) Our lab created and led two popular water exhibits at the MSU Science Festival, which gets ~20,000 visitors each year! Great job team! (April 2017) Stephen wins two awards: The SFS INSTARR Award to participate in the 2017 meeting and the Michigan Environmental Laboratory Association Scholarship! (April 2017) More good news for Tyler, who received a GSA Graduate Student grant to support more of his summer research projects! (April 2017) Tyler awarded a KBS summer fellowship to extend his hyporheic microzone project into some of the KBS LTER streams. Congrats! (April 2017) Tyler and Joe lead presentions at the Fate of the Earth Conference! (April 2017) Paper published! Baranov, V, D Milosevic, MJ Kurz, JP Zarnetske, F Sabater, E Martí, A Robertson, T Brandt, A Sorolla, J Lewandowski, and S Krause (2017) Helophyte impacts on the response of hyporheic invertebrate communities to inundation events in intermittent streams. Ecohydrology. 10.1002/eco.1857. (March 2017) Paper published! Kurz MJ, JD Drummond, E Martí, JP Zarnetske, J Lee-Cullin, MJ Klaar, S Folegot, T Keller, AS Ward, JH Fleckenstein, T Datry, DM Hannah, and S Krause (2017) Impacts of water level on metabolism and transient storage in vegetated lowland rivers - insights from a mesocosm study. J. Geophys. Res. 10.1002/2016JG003695. (March 2017) Tyler and Sinchan travel to USGS to learn about geoelectrical methods in sediments as part of the CUAHSI Instrument Discovery Program. (March 2017) Lab and department hosting Dr. Adam Ward from Indiana University! (March 2017) Jay participates in the International Workshop "Where land becomes stream" held in Rennes, France. (Feb 2017) Jay goes to the Arctic LTER meeting at the Marine Biological Laboratories to present our findings on the 2016 Arctic watersheds study. (Jan 2017) Now recruiting for a 2017 summer REU to work with us and the KBS LTER on understanding organic carbon in streams! Apply here! (Dec 2016) Zarnetske lab part of 8 presentations and convening 1 session at the American Geophysical Union in San Francisco, CA, USA. 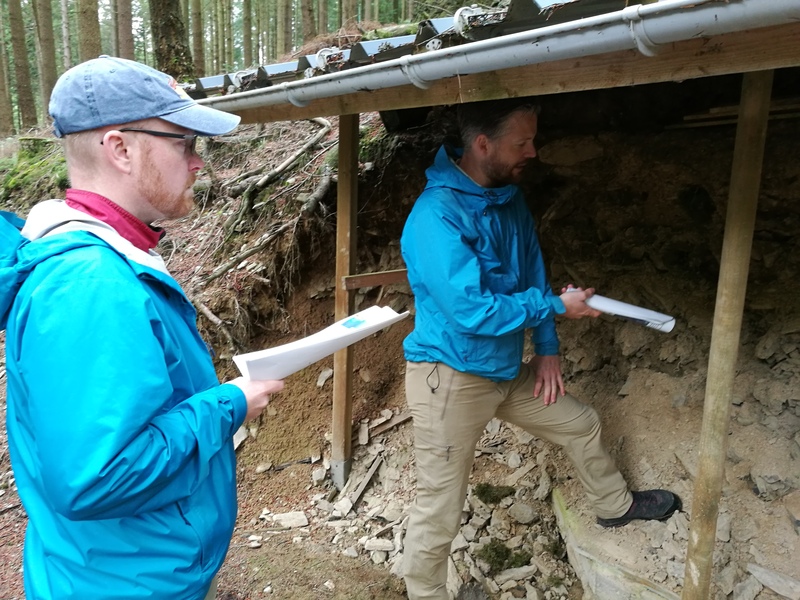 Great to see the cutting edge science from Arctic Hydrology to surface-groundwater interactions - all in one location. (Nov 2016) Great visit to Indiana University to meet with their School of Public and Environmental Affairs faculty and students. (Oct 2016) New paper lead by MS student Sydney Ruhala is out in Science of the Total Environment! The paper reviews the use of optical sensors to investigate watershed dissolved organic carbon questions.. Check it out: Article here. (Sept 2016) Back from the Arctic LTER - Toolik Field Station - check out this video of a day in the life of of Toolik research. On this day we did a large helo supported river network sampling campaign. Video here. (Sept 2016) Congrats to undergraduate researcher, Evan Wiewiora, who was awarded an Undergraduate Research Scholarship for Fall 2016! Evan is working on landscape controls on DOC quantity and quality of a Michigan watershed. (Aug 2016) Next stop is the Arctic LTER - Toolik Field Station with new lab post doc Dr. Ben Abbott! Welcome Ben! (Aug 2016) We did it! Huge field campaign co-lead by Adam Ward lab (Indiana University) and our lab at the HJ Andrews Experimental Forest and LTER is now complete! 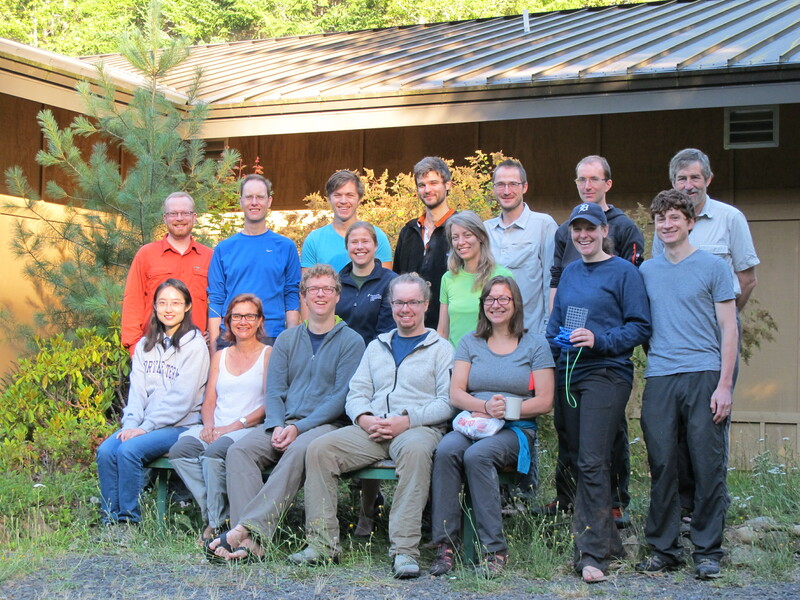 In total, we had 6 REUs, 5 graduate students, 4 post docs, and 5 PIs on site for the project! This team represents 10 institutions and 5 nationalities! Here is a group shot with most of us about half way through the field campaign...all smiles of course! Perhaps this is more accurate state of affairs. Also here is a pic of the team at the base of the famous (to hydrologist) Watershed 01 at the HJA. (Aug 2016) Check out Sydney Ruhala's blog about here research as part of the KBS LTER Summer Fellowship Program! Click here. 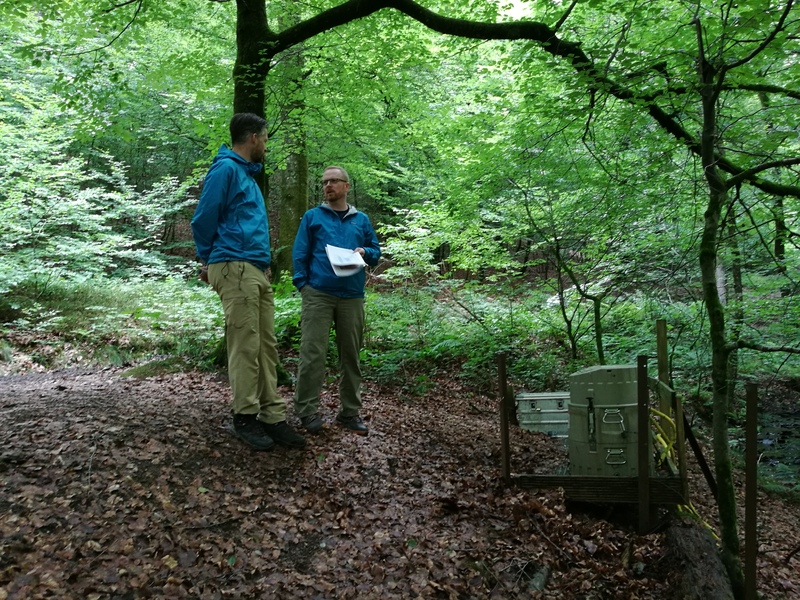 (July 2016) HUGE Leverhulme US experiments are about to commence at the HJ Andrews Experimental Forest and Long Term Ecological Site.. So much planning over the last year.. So excited to welcome and see our international GW-SW community and do some BIG SCIENCE! (July 2016) Tyler Hampton and Jay spent a week on Cape Cod, MA (Snake Pond) as part of the Microzones project with USGS and Colorado School of Mines collaborators. Awesome week getting millions of data points! 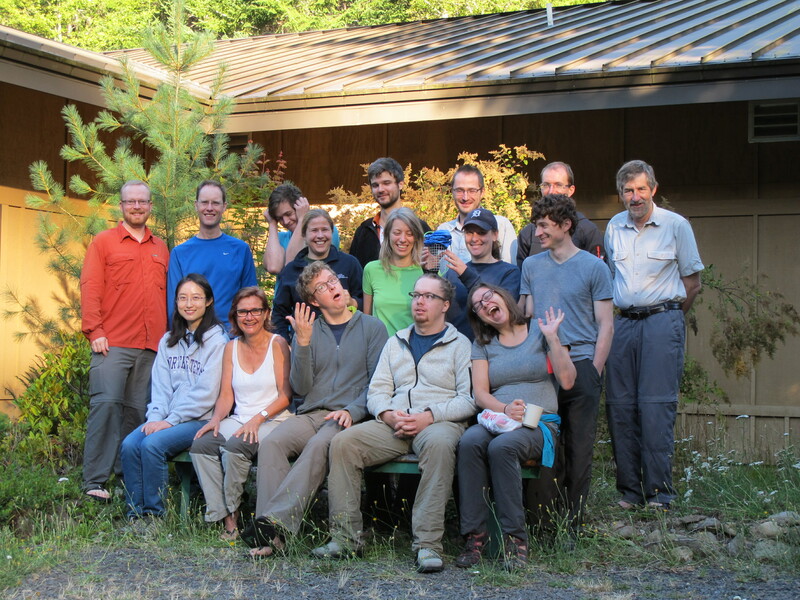 Check out the core team here after 120hours of nonstop work and data collection! (June 2016) Sydney Ruhala awarded Best Student Presentation in Basic Research a the 2016 SFS meeting! Wow, congrats! (June 2016) Lots of lab presentations at the Annual Society for Freshwater Science Meeting in Sacramento, CA. Had the trifecta in student presentations - PhD, MS, and Undgraduate students presentations! (May 2016) New co-authored Water Resources Research paper with Leverhulme Project team is now out. Check it out: Stream solute tracer timescales changing with discharge and reach length confound process interpretation. Nicely done Noah! (April 2016) Lots of our Leverhulme GW-SW project presentations featured at the 2016 EGU General Assembly Meeting in Vienna. (April 2016) Two new grad students will be joining the lab in 2016 to work on Hyporheic Nitrogen processing research - Welcome Sinchan Roy Chowdhury and Tyler Hampton! 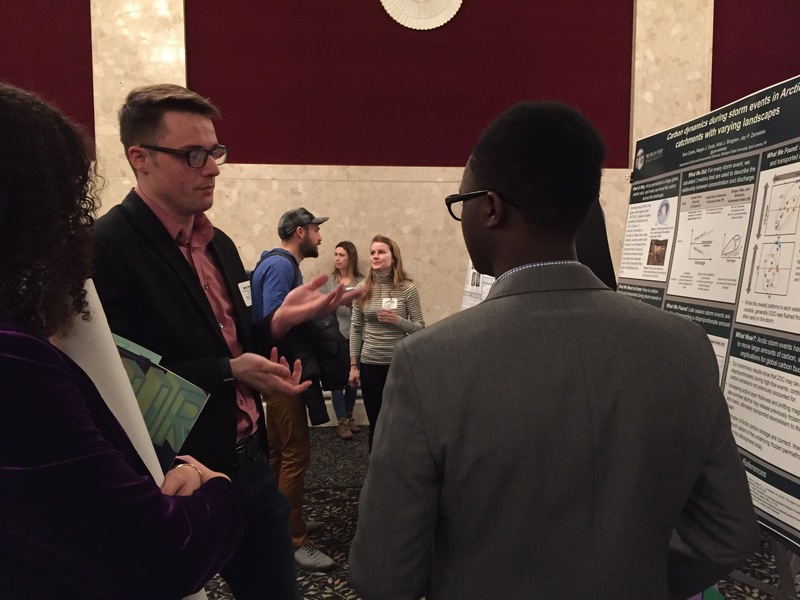 (April 2016) Stephen Plont presents his HZ mesocosm work at two undergraduate research conferences. Next stop the SFS meeting in Sacramento, CA! (March 2016) Sydney Ruhala awarded the KBS LTER Summer Research Fellowship to continue her GW-SW in Augusta Creek. Congrats! (March 2016) Jay heads to University of Michigan to give the Smith Lecture. (Feb 2016) Stephen Plont receives a CNS Undergraduate Research Support Scholarship support the completion of his undergraduate research project and present it at not one, but three(!) different conferences, including SFS Annual Meeting in Sacramento, CA. Super job, Stephen! (Jan 2016) Jay offers a new class at MSU - Hillslope Hydrology (much inspired by Jeff McDonnell). (Dec 2015) Multiple presentations at AGU Annual Meeting in 2015. And our organized GW-SW session was a huge success with great attendance across multiple days and sessions. What a vibrant community! (Nov 2015) Jay gives seminar at Univ. of Notre Dame; lots of great discussions and learned about the exciting work in their Environmental Fluid Dynamics Group and the Linked Experimental Ecosystem Facilities. (Nov 2015) Christian Poelstra joins the lab as an Undergraduate Assistant. Welcome Christian! (Oct 2015) Jay travels to Rennes France to participate in Septième École Interdisciplinaire de Rennes sur les Systèmes Complexes 2015. (Oct 2015) Stephen Plont receives a competitive CNS Undergraduate Research Support Scholarship for his research project. Congrats Stephen! (Aug-Sept 2015) New Augusta Creek water quality and flow monitoring station systems equipment acquired, including telemetry(!) Now to get it all wired before getting it wet. Soon real-time data will be flowing into our servers, helping us take the pulse of Augusta Creek chemistry. (July-Sept 2015) Lab field work in full swing in Augusta Creek, Michigan after prolonged record high rain and flow events earlier this year. The team has logged over three weeks (of >12hour days) in the field collecting surface and pore water chemistry... in addition to weeks of lab prep/analysis in between. Lots of exciting data to analyze!!! 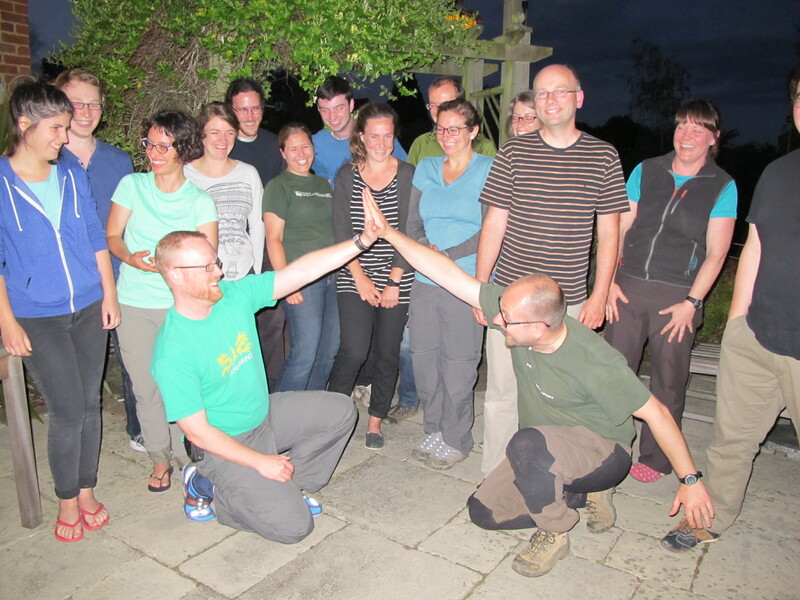 (June 2015) Jay and Joe Lee-Cullin participate in Leverhulme Projects in Spain (Urban River Lab) and UK for two weeks with great GW-SW scientists (see group pics - Spain team and UK team)! (June 2015) New Instrumentation comes on line! The Thermosci IC system and the Shimadzu TOC analyzer system are up and running! (May 2015) MS student Sydney Ruhala awarded a Geological Society of America Graduate Student Research Grant! Congrats Sydney! (May 2015) New Publication: "A physical explanation for the development of redox microzones in hyporheic flow" with Marty Briggs, Fred Day-Lewis, and Jud Harvey is published in Geophysical Research Letters. (May 2015) Graduate student Sydney Ruhala receives the 2015 Neal Research Award. Congrats! 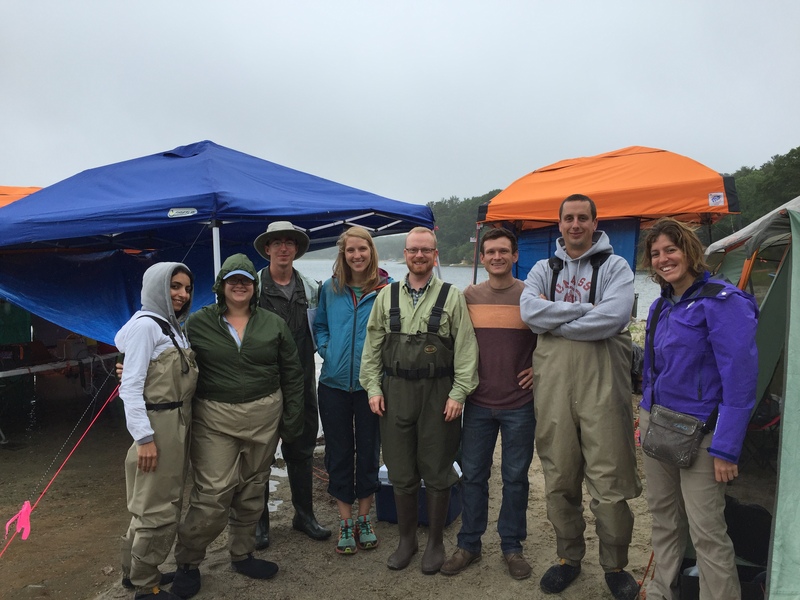 (May 2015) Undergraduate Researchers join the lab. Welcome Stephen Plont and Evan Wieriora! (April 2015) Presentation at the International ﻿HydroEco 2015 Meeting﻿ in Vienna, Austria. (April 2015) New Publication: A "Zarnetske & Zarnetske" paper now exists in the world! "Strategies for creating a conspicuous, effective, and memorable poster presentation." by Jay Zarnetske and Phoebe Zarnetske is published in GSA Today. (March 2015) Awarded National Science Foundation Grant!!! "Unlocking the Transient Storage Blackbox: Revealing the Role of Less-Mobile Porosity in Hyporheic Denitrification and Greenhouse Gas Production" Project PIs: Jay Zarnetske, Martin Briggs & Fred Day-Lewis (USGS/UCONN), and Kamini Singha (CSM). (Feb 2015) Zarnetske et al. 2011 Hyporheic Denitrification paper in JGR-Biogeosciences receives Web of Science's "Highly Cited Paper" distinction for being in the top 1% of hydrology papers cited since publication date! (Jan 2015) New Publication: "Coupling multi-scale observations to evaluate hyporheic nitrate removal at the reach scale" by Jay Zarnetske, Roy Haggerty, and Steve Wondzell is published in Freshwater Science. (Dec 2015) Many presentations at AGU Fall Meeting in San Francisco, CA. (Nov-Dec 2015) Groundwater demonstration site installation! It was so cold that we did not have to deal with any mud, just dirty ice, but the site is installed and ready for instrumentation in the spring! (Oct 2014) New Publication: "The stream subsurface: nitrogen cycling and the cleansing function of hyporheic zones" by Steve Wondzell and Jay Zarnetske is published in Science Findings. 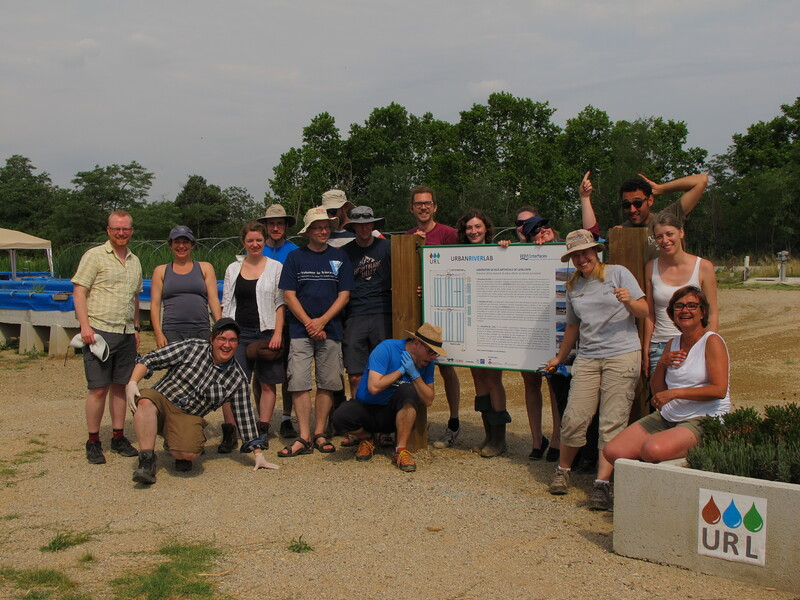 (Oct 2014) New Grant: Groundwater and Surface Water Teaching and Demonstration site funded! A series of shallow aquifer wells will be installed on the MSU campus and adjacent to the Red Cedar River. These wells will be instrumented with telemeter sensors that will provide real-time hydrological data for students to use in classes and research across the region. (Sept 2014): CUAHSI and CTEMP and USGS support novel DTS measurements in flocculent organic sediments at Kellogg Biological Station. (Sept 2014): New Undergraduate Researcher joins the lab: Welcome Abraham Downer! (Aug 2014) Zarnetske Lab at MSU really kicks off with new Grad Students joining the lab: Welcome Joe Lee-Cullin and Sydney Ruhala!